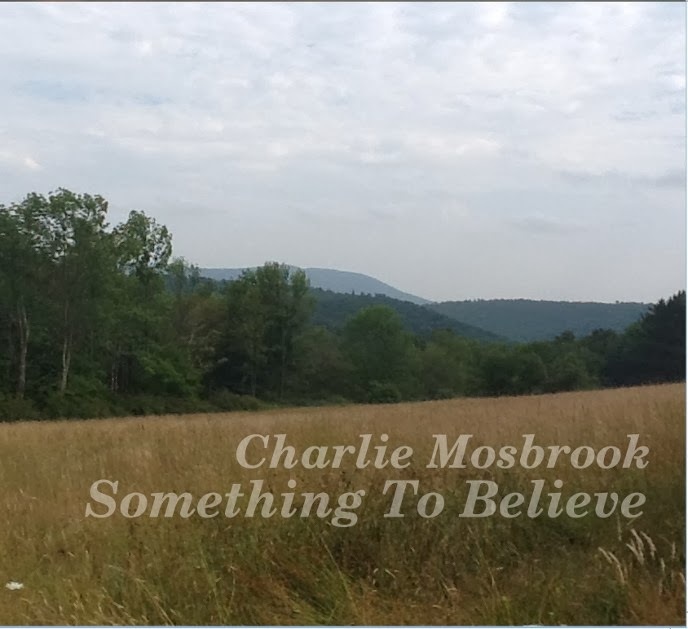 Charlie Mosbrook. Something to Believe. I guess you could call Charlie Mosbrook a Northeast Ohio institution, although he might disagree. The singer-songwriter has been around for quite some time (this is his tenth release). 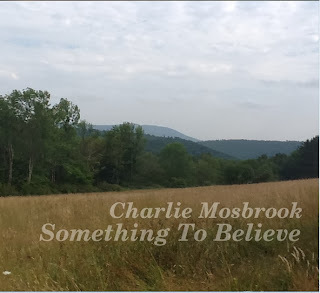 He is certainly well-respected in the musical community, having had a tribute album done by other area artists (Coverage: The Songs of Charlie Mosbrook). He calls himself a traditionalist, influenced initially by Woody Guthrie and Bob Dylan, later by Doc Watson, John Hartford, and others, and you can hear this in his style. I like his voice; he’s got a soft baritone that’s easy on the ear. His latest album continues his legacy in fine fashion, with eleven new songs and one cover. Something to Believe does nearly all the things I want to hear in a folk album. It’s simple (deceptively so, I think), straightforward, displaying a range of emotions, well-sung (they aren’t all), with excellent but understated instrumentation and harmonies (although showing off here wouldn’t be a bad thing either). And the songs are high-quality, with good lyrics and no self-righteous preaching. The title track is a good strong opener, with harmonica provided by Steve (Steev?) Inglish (sometimes known as Mr. Downchild) and an uptempo bluesy feel. From there, the moods shift back and forth song by song. “A World not Seen” is more contemplative, some thoughts about the nature of our perceptions. Next we have a trio of duets with female accomplices, “Blame,” dealing with nastier aspects of love in a rather jaunty manner, and “Creepy,” with love of the more unrequited variety. “Shining Through” is also about love but a lot about hope too, and “Erie Shore” puts us in the right location, but in a rather defeated mood. The second half of the album begins with the only cover, “Hand Me Down My Walking Cane,” an uptempo tune with a downbeat (but funny) lyric and some fine fiddle work by Bill Lestock. “Listen to a Woman” and “Something to Lose” both provide some good advice for those who might need it. Mosbrook goes autobiographical with “Crooked Stick,” singing of dealing with his spinal cord injury in a heartfelt way, without being maudlin or self-pitying. I hope “I Will be Coming Home to You” isn’t autobiographical, as it deals with heavy drinking. The final track is appropriate for Northeast Ohio, a paean to the slowly brightening days of January that might have deeper meanings. The musicianship and singing on the album is uniformly excellent, the various folks helping Mosbrook doing a fine job all around. I hope that he gets around to making ten more albums, if they display this level of quality. Personnel: Charlie Mosbrook (guitar, bass, vocals), with assistance on selected tracks by Bill Lestock (fiddle, mandolin, guitar), Avin Loki Baird (guitar, vocals), Shelby Lynn Sangdahl (cello), Cindy Langmack (vocals), Matt Harmon (guitar, vocals), Greg Alan Reese (banjo), Steev Inglish (harmonica), J. Scott Franklin (trumpet), Abbey Blake (vocals), Xe La (bass, vocals). Tracks: Something to Believe, A World not Seen, Blame, Creepy, Shining Through, Erie Shore, Hand Me Down My Walking Cane, Listen to a Woman, Something to Lose, Crooked Stick, I Will be Coming Home to You, January Sky. Patrick Sweany. Close to the Floor.